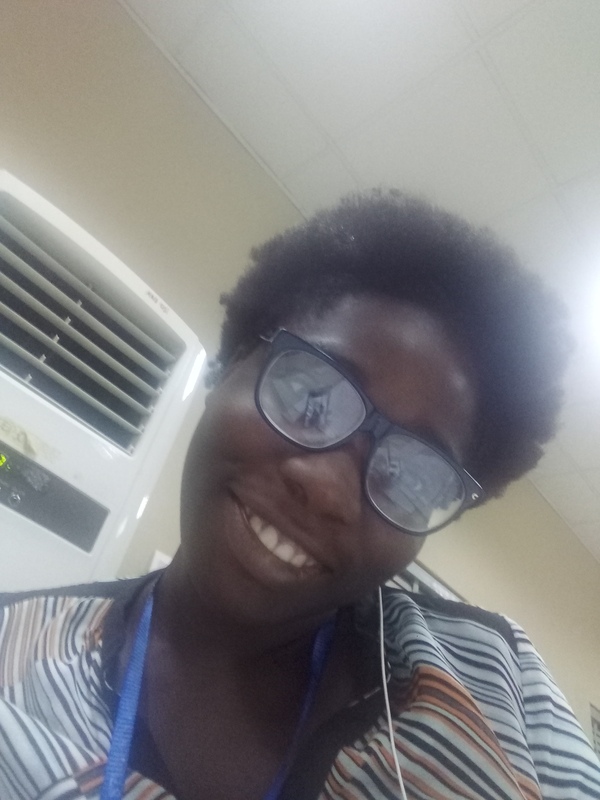 So as you all know I was doing this embracing my shrinkage thing because I have been writing my exams and I didn’t have time to take care of my hair. 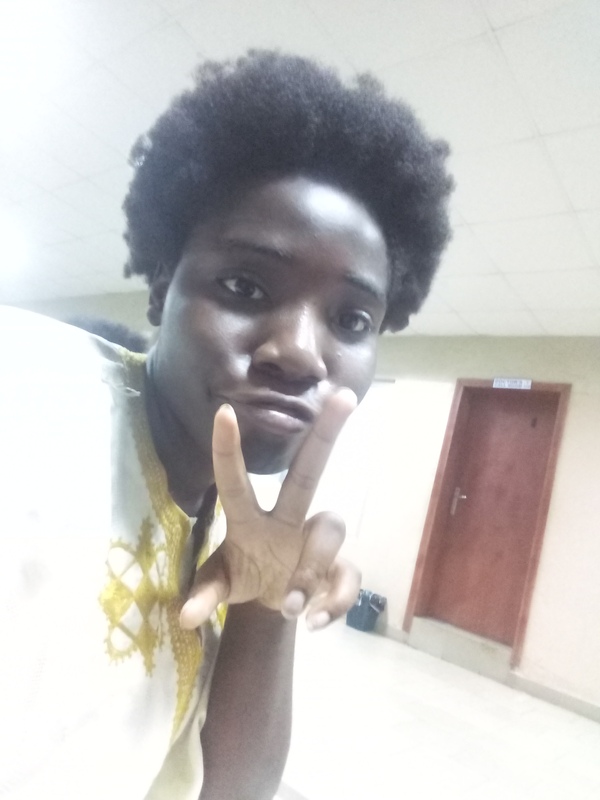 So my shrinkage embracing challenge lasted for about four days. My hair was shrunk probably more than half it’s length. It was in a nice medium sized afro, I really liked the style. All I did was spray my leave-in conditioning mist and tie the hair up. 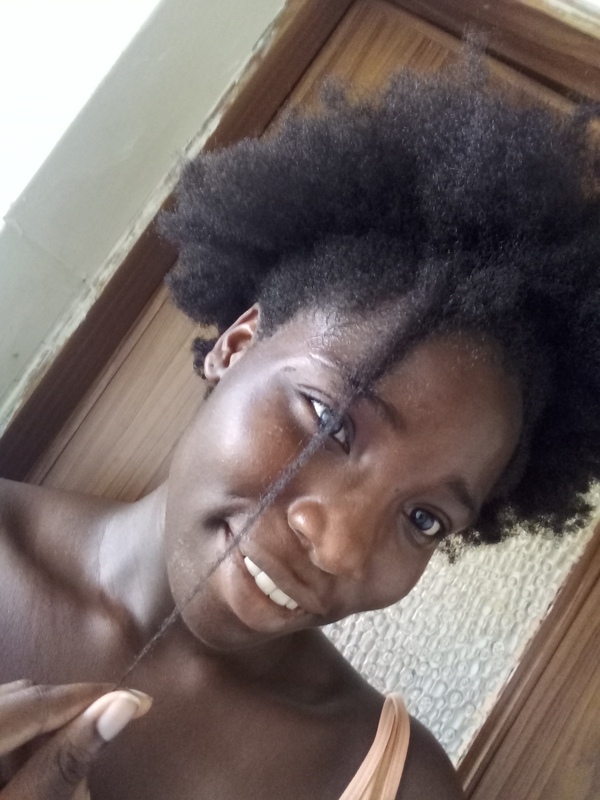 It may be hard to see the pulled length because I didn’t wanted to pull a large part of hair and unknowingly ruin my shrinkage plans, I wanted the hair to shrink on its own without me pushing it down. I think the shrinkage is about 70 or so percent by now. I was getting close to having a TWA. 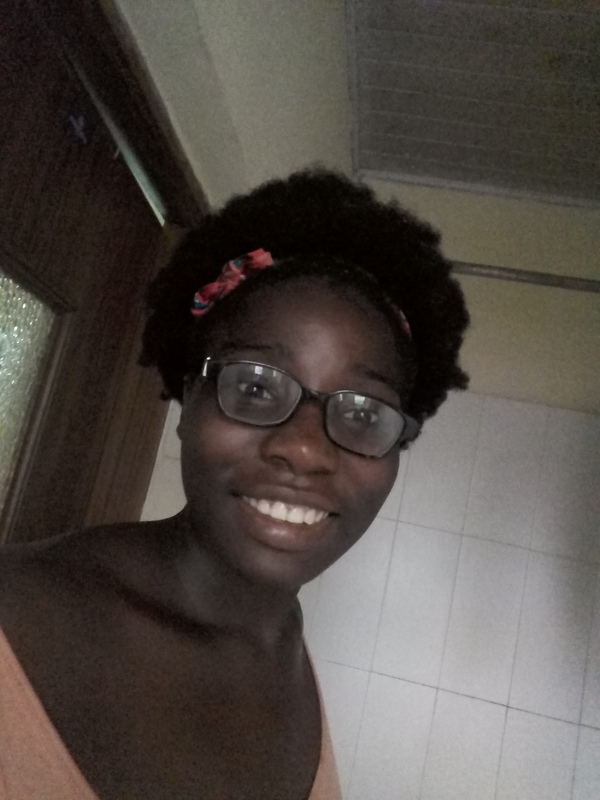 My hair in front refused to shrink as much as the hair in the back and it was quite annoying but at this point the shrinkage was really real. People started asking me if I cut my hair and by evening I let go of the hair band. 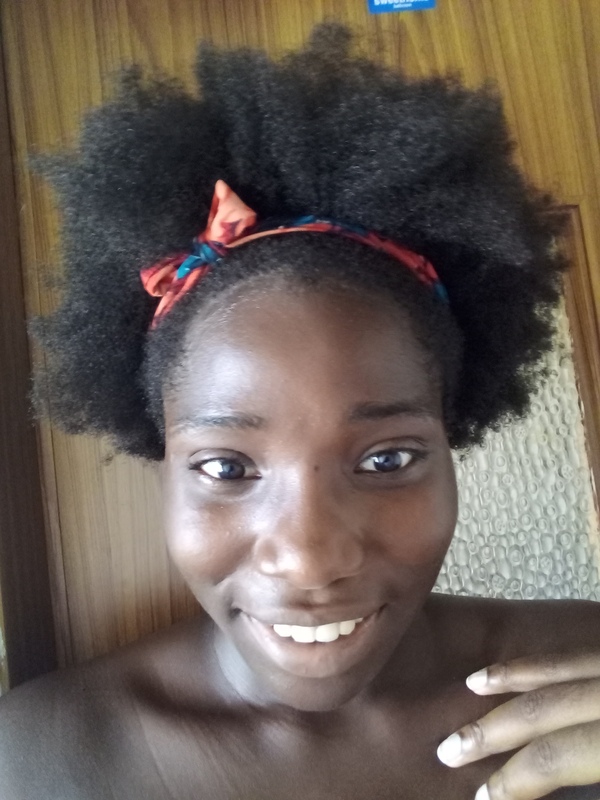 My hair was an actual TWA, I liked the feel because I transitioned my hair and I never really had short hair before then so it was nice feeling like I had short hair especially when I knew that if I pulled the strands it would be longer than it looks. 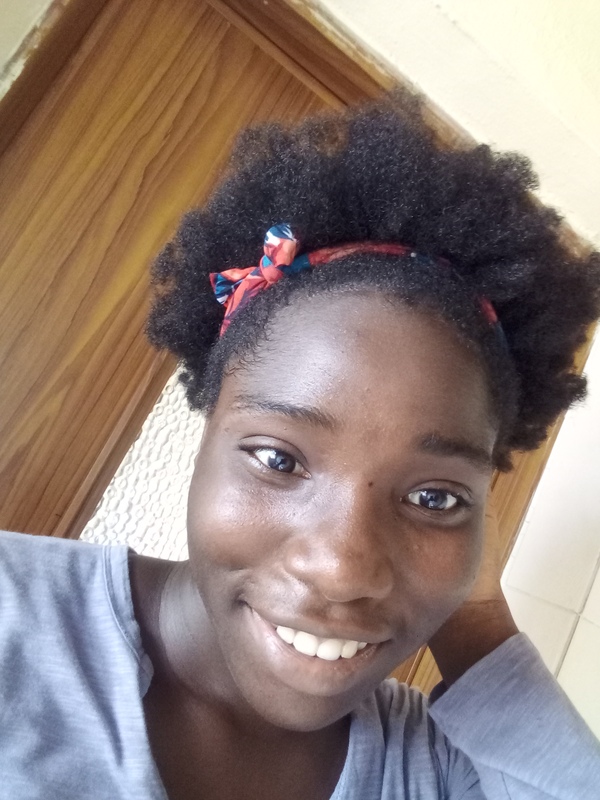 That evening I finally detangled my hair, it was a long process and I felt like I had a lot more tangles because I let my hair shrink that much. After detangling I packed my hair into two side buns, I don’t really have a clear picture but this should do. 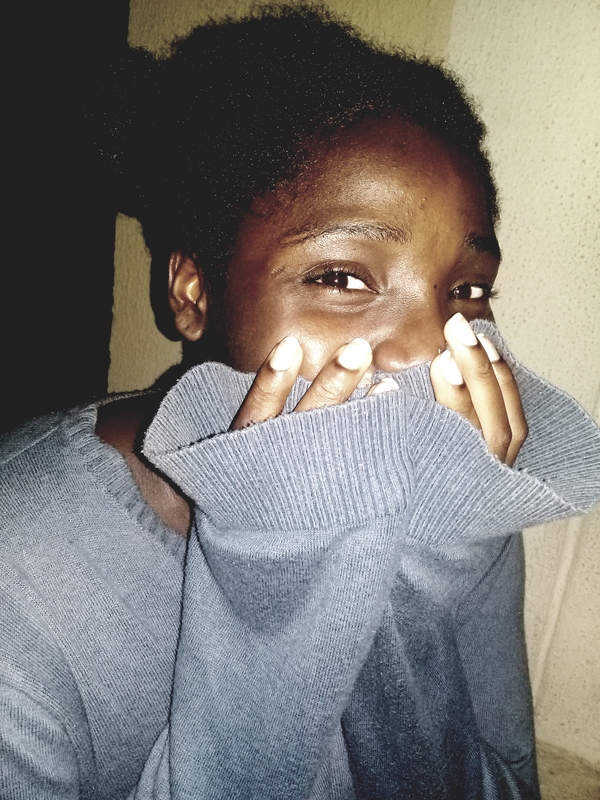 The next day I twisted my hair and that’s how it is till now, thats how it’ll be till I’m done with my exams. Embracing my shrinkage was fun, I had the feeling of having a TWA for the first time and I didn’t have to do anything much on my hair so it was a breeze but detangling was a real struggle for me, I had a lot of tangles and more breakage than I usually do when detangling. How low has your hair shrinkage gone? 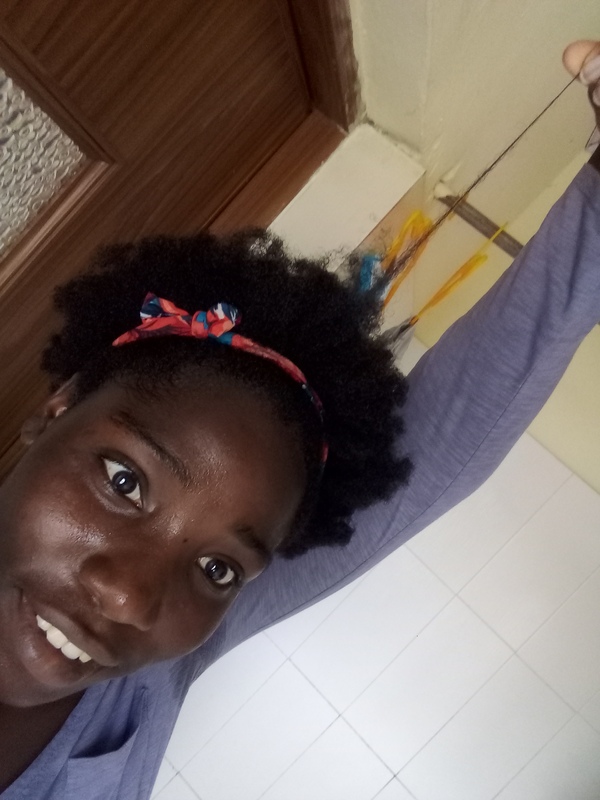 Would you ever try that embracing the shrinkage challenge that I did? Your hair is beautiful! My shrinkage doesn’t look as low as it used to. The longer it grows and the more you manage it, you’ll notice changes in its shrinkage!